National Guard hospitals are renowned for their high quality evidence based patient care practices. There are tremendous opportunities for staff growth and development, as well as a very active in-house training and education through lectures, seminars and workshops which are regularly scheduled by the Academic Affairs, Training and Development and Nursing Education Departments. In addition, more specialized courses on patient care, latest technology and training on specialized equipment are arranged in collaboration or sponsored with external providers. National Guard Health Affairs gives high regard to the welfare of its workforce; orientation and induction are given to new staff to ensure they are competent, confident and supported through mentorship and preceptorship to mould them into the workforce. Furthermore, benefits and rewards are very encouraging to the staff. Living in the City of the Prophet where one can perform ibadah in the Holy Mosque within a few minutes distance and just a few hours away for umrah in Mecca is a blessing, what more can a Muslim ask for? 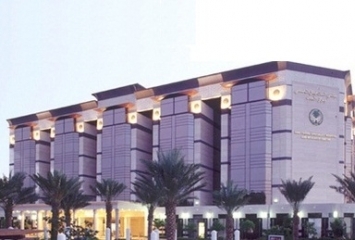 Prince Mohammed Bin Abdulaziz Hospital (PMBAH) is a full service healthcare facility with 320 beds capacity.